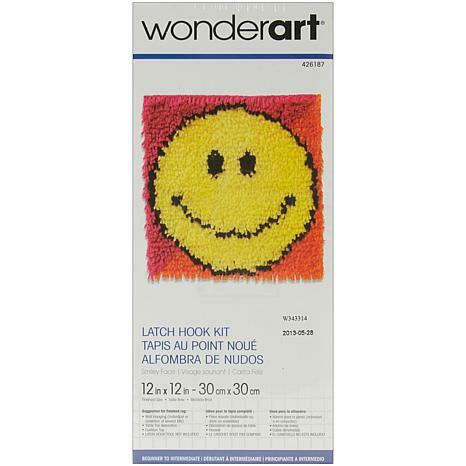 CARON-Wonderart: Latch Hook Kit. 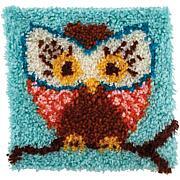 This kit will give you a rug that is wonderfully lush and can be made to fit any decor motif. The possibilities are astounding, you can use them on the floor, wall, sofa, bed, window or even make them into pillows, nap-mats and seat cushions. They are easy to make, it would be a wonderful family project! 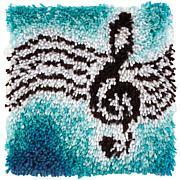 This kit contains a 50% polyester/50% cotton canvas, pre- cut rug yarn, illustrated how to latch hook instructions and an easy-to-follow chart. 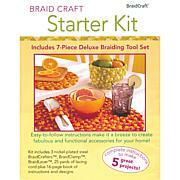 Hook tool and binding materials are not included. 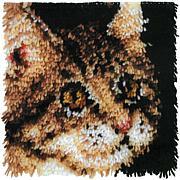 Size: 12x12in. Design: Smiley Face. Made in USA. Love the kit and even better got the kit on sale.my only wish would be that all the hook rug kits came with the hook to make them. I havent made the rug yet, its a project to get through the winter.